Romeo straps are manufactured by hand. We focus on the choice of skins and meticuloushand-crafted production. Hides used by Romeo Straps are tanned using traditional, natural methods, without colourings, chrome, formaldehyde and pentachlorophenol and they are processed in compliance with current laws. Romeo Straps supervises every single stage of each individual item, from the design and technical draws to the creation of customised, exclusive and unique items. For Romeo Straps. it is important to provide its customers with the highest level of specialisation, organisation, creativity and product quality because through our creations we take our love of Tuscan leather products all over the world and this is one of the reasons why we are so proud of our work. All products are certified CITES, (the Convention on International Trade in Endangered Species of Wild Fauna and Flora), an international agreement between governments to ensure that international trade in specimens of wild animals and plants does not threaten their survival. Because straps are more than an accessory; they are an essential part that adds personality to every watch. Romeo - Genuine calf leather strap. Beautiful handmade Calf Genuine Leather watch strap with harmonic tone-in-tone seams. 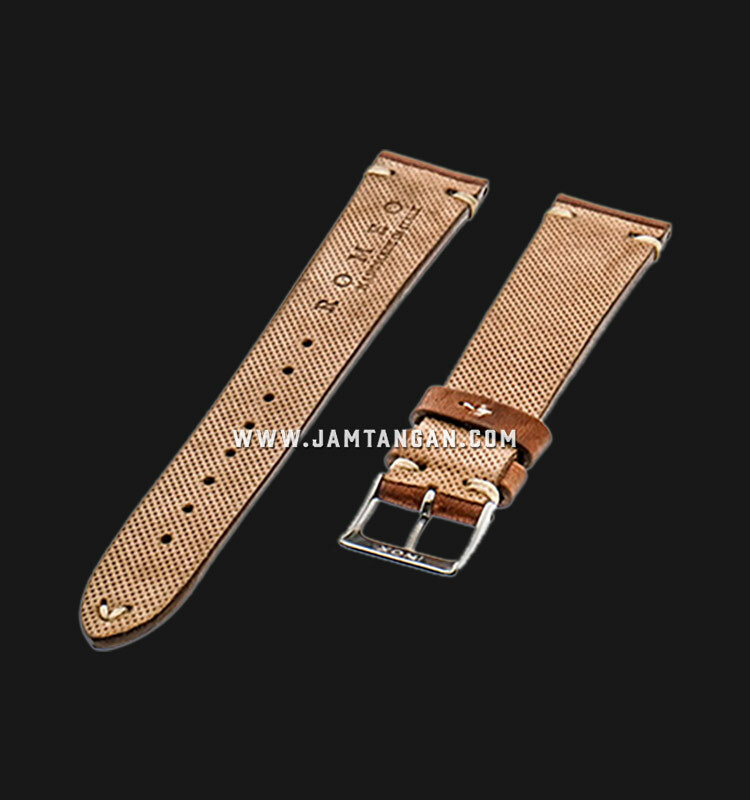 This impressive and elegant wrist watch strap convinces through its particularly large choice of colours. This leather wristband convinces by its tremendous versatility and its very pleasant wearing comfort. Made from an Italian calf leather that has a wonderful vintage look to it. 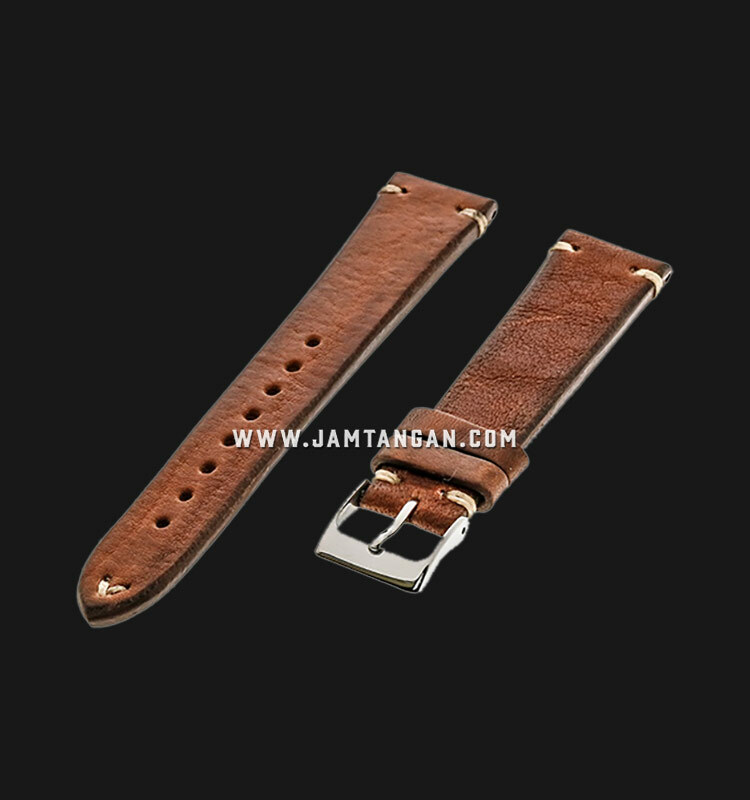 Genuine calf watch strap from especially soft and specially selected leather. Beautiful handmade Genuine Leather watch strap. Made from an Italian calf leather that has a wonderful vintage look to it. The leather has been specially selected for its unique distressed cracked finish. A perfect choice for your Sporty Watch. Look and feel superior with our men's genuine crocodile watch bands. Whether you choose a matte or glossy finish, the color options and design possibilities are endless. Choose from reds, tans, browns, blacks and more colors as well as different finishes of watch buckles. These genuine crocodile bands are all manufactured in Italy. Our crocodile strap leather products are exclusively crafted from the luxurious skin crocodilian species. All crocodilian types are procured from the wild, a condition that assures the best quality leather status. Very comfortable, complimented by a polished finish stainless steel. The genuine Italian crazy horse leather strap with stainless steel pin buckle is perfectly designed to complement your watch Collection. The luxurious genuine Italian leather instantly forms to your wrist and provides the feel that only quality leather can provide.